Located at 621 King Street West, in the heart of King West Village is Freed’s The Thompson Residences. With the King building being connected to the luxurious Thompson Hotel and the Stewart building beside it, residences have access to the spectacular amenities (such as the roof top infinity pool, in-room spa, house keeping, and so much more for a pay per use basis.) Main Intersection is King Street W & Wellington Street. There are two building that make up The Thompson Residences, the King building has 331 units and has 14 floors in it and the Stewart building has 82 units and 11 floors. The Thompson Residences combined have a total unit count of 413 suites. 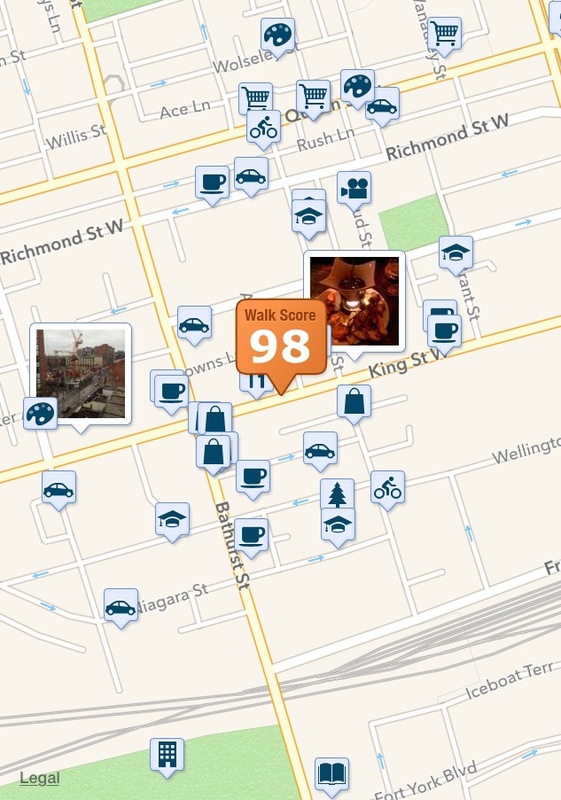 Walk Score of 98, with under a km walking distance to the streetcar, subway, buses, and public transportation. Walking and biking distance to grocery stores, coffee shops, shopping centres, the lakefront, and main attractions like the CN Tower, Roger’s Centre, and the Air Canada Centre. Close drive to main highways and roads like the Don Valley Parkway (DVP), Queen Elizabeth Way (QEW), the Gardiner, and Lakeshore Blvd. Close distance to 11 schools, a mixture of Catholic, Public, Private, and Montessori elementary and secondary schools.